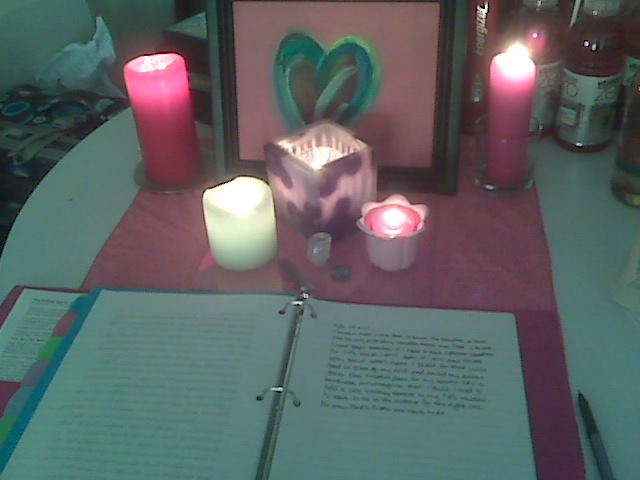 Yesterday I posted a picture of my altar where I wrote my Morning Pages for The Artist’s Way. This morning I changed and added to it a little bit. I took photos on my cell phone to show the progression (I think you can click images to see larger versions). This morning I started by adding an oil paint heart (Love) I painted just about a year ago, which I put into a frame I found in a box over the weekend. 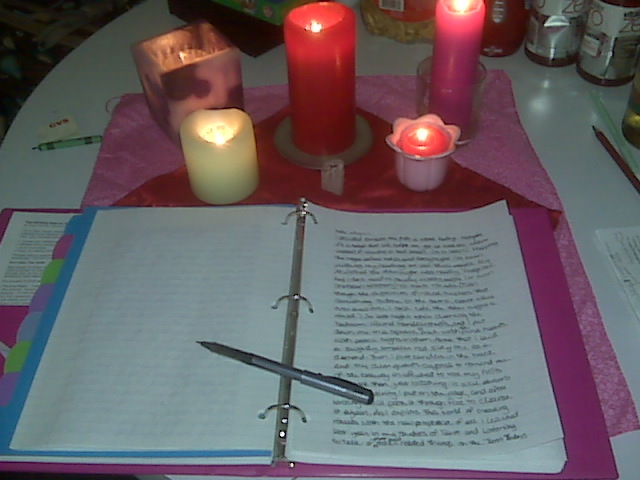 The glass doesn’t fit in the frame, so I put that down on the table on top of the pink handkerchief, under the candles. (I removed the red one for now because it has wax on it, so it’s in the freezer all day so I can hopefully chip off the wax when I get home. Because I don’t have an iron.) 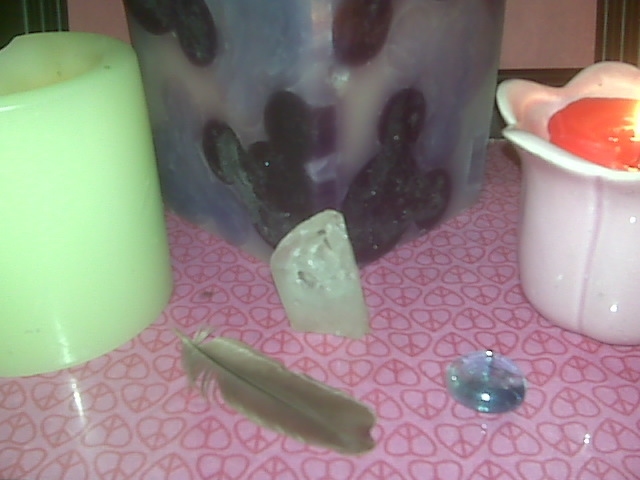 I also put out a feather (Air) and a polished sea glass stone (Water), in addition to the candles (Fire) and clear quartz crystal (Earth), so now I have symbols of all four elements. I think I might add more to it, like a small bowl of Water (I think I have enough Fire), but right now this is enough. I want to move the whole thing to my desk, but right now that’s a mess. 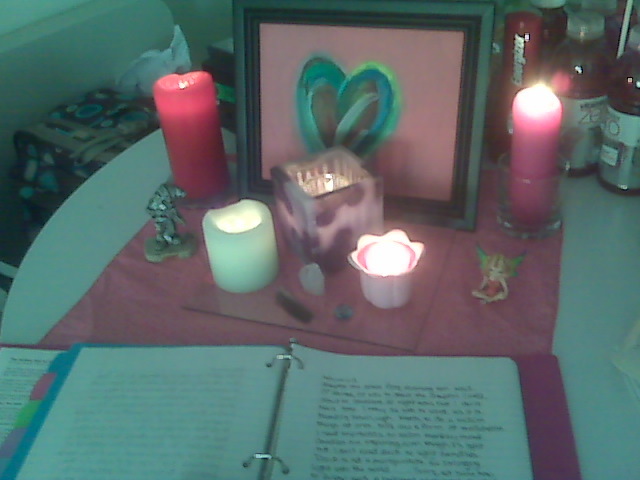 Until I clean off my desk to make room, my altar will remain on the table. But I say this with the caveat that I promise myself I will have the desk clean and altar moved before I go to bed this Friday night. I deserve this, and I need to keep this promise to myself to show that I value myself and to support the inner artist I am learning to nurture in working through The Artist’s Way with the Goddess Circle. 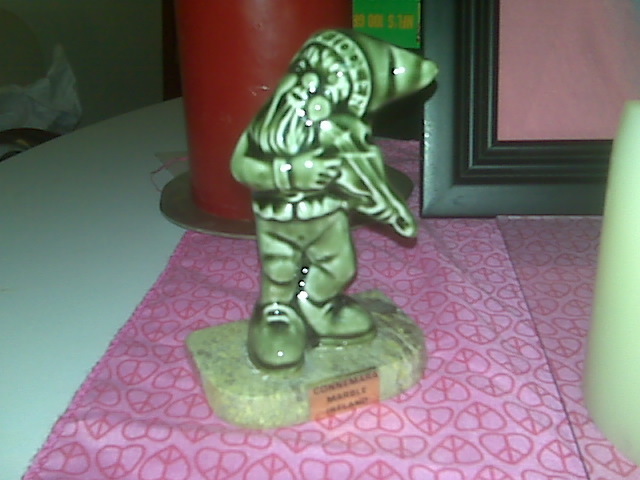 This entry was posted on January 10, 2011, in TheArtistsWay. Bookmark the permalink.